For those who are unfamiliar, Carthage was a preeminent maritime power for hundreds of years in the Mediterranean. Pre-saging Alfred Thayer Mahan and 19th century European colonial powers, Carthage embraced an empire not built by massive land holdings but by a disparate collection of trading spheres, ranging from Spain to Sicily, connected by the era’s most powerful navy. There were very few powers that could challenge them on the open seas, making the Western Mediterranean a Carthaginian lake by which it could generate wealth. Most people know the Carthaginians as the enemies of Rome in the era of Hannibal but that was not always the case. Up until their first dramatic clash in the thirdcentury B.C., the Romans and Carthaginians were allies were allies of convenience. The Carthaginians faced consistent incursions from Numidians in North Africa and colonial wars with the Greeks in Sicily while the Romans had to contend with Greek colonies and restive Samnites to their south. This culminated in the early fourth century B.C. when the Carthaginians used their navy to transport Roman legions to the south to fight their common Greek enemies. Carthage did not have to sacrifice any men to achieve their foreign policy objectives and the Romans, without naval lift, would have spent a much longer time marching their army south through dangerous territory. The Carthaginians were thus able to find manpower to handle operations they could not undertake and the Romans gained rapid mobility. Both sides profited from the arrangement. The United States is in a similar position in the modern as Carthage was in the ancient world. The United States has unmatched transport capacity in both the maritime and air domains, evidenced in all possible measures: numbers of sea/air transport vehicles, total cargo capacity, and experience in deployment logistics. Many other nations have tactical transports but very few others have either the numbers of strategic-level transports or the financial resources necessary to support long deployments. This situation gives the United States a unique position to influence global deployment of forces; it offers a quasi-veto to undesirable deployments and a force-multiplier for operations that it wants to see conducted. While the United States has unmatched transport capacity, there are a host of reasons why the United States cannot project its power simultaneously to tackle every global crisis: ongoing operations in Afghanistan, a lack of popular support for committing troops overseas, and tightening budgets restrict the United States. Carthage had similar limitations, due primarily to budgets and the mercenary make-up of their armed forces, which they circumvented in their wars against the Greeks by leveraging Roman manpower. The United States is already doing the same for France in Mali and the United Nations in the Central African Republic. The story of transport supremacy did not end well for Carthage. 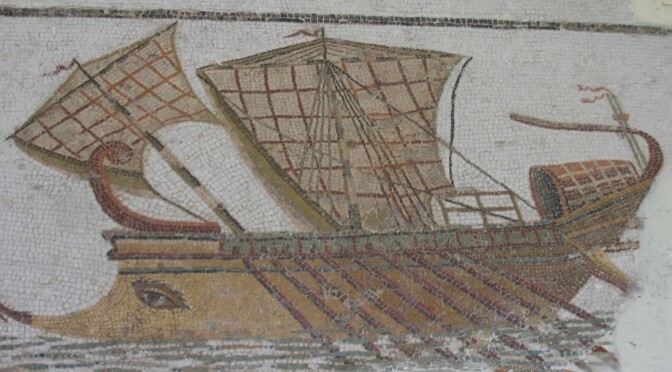 In the First Punic War, fought a scant few years after the common war against the Greeks, the Romans raised a substantial navy and challenged Carthage’s dominance on the seas. Defeat in that war, combined with the defeats in the Second and Third Punic wars, would spell the end of Carthage’s empire. While the Carthaginians ushered in their doom by providing transport supremacy to their eventual conquerors, the United States is in no such risk of the same, allowing it to leverage the policy without stoking an existential threat to its existence. The future looks bright for those with transport supremacy. Matthew Merighi is a civilian employee with the United States Air Force. His views do not reflect those of the United States Government, Department of Defense, or Air Force.